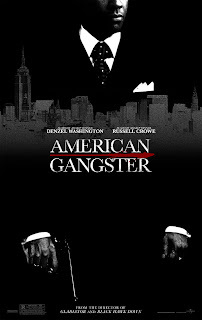 TeenageGraffiti: Denzel Washington The Real "American Gangster"? Denzel Washington has a "Pay as you play" contract in which he gets paid to be in a movie no matter if the movie makes it to the big screen or not. His going rate is twenty million a picture. Denzel’s new movie "American Gangster" is set to be released November 6th, but wasn’t always a go, it seems that the Director of Training Day was all set to direct on American gangster with Denzel Washington starring, but for creative differences the movie fell all the way through, still Denzel had already signed on and received his twenty million, now a couple of years later director Ridley Scott has come across the script and decided to put the movie into production, Russell Crowe became interested, and Ridley Scott decided that Denzel Washington was still the man he needed to bring out the roll. So in case you missed the point Denzel rolled in "40 MILLION" to star in a movie that isn’t even out yet. Nice work Denzel… congrats Denzel Washington you are an "American Gangster"
Below Heart of the City produced by Kanye West for Jay-Z's The Blueprint in 2001, also he sampled a cut from this track on "Good Mourning" which is featured on "Graduation". Heart of the City is the song playing in the backround of the trailer below, enjoy!